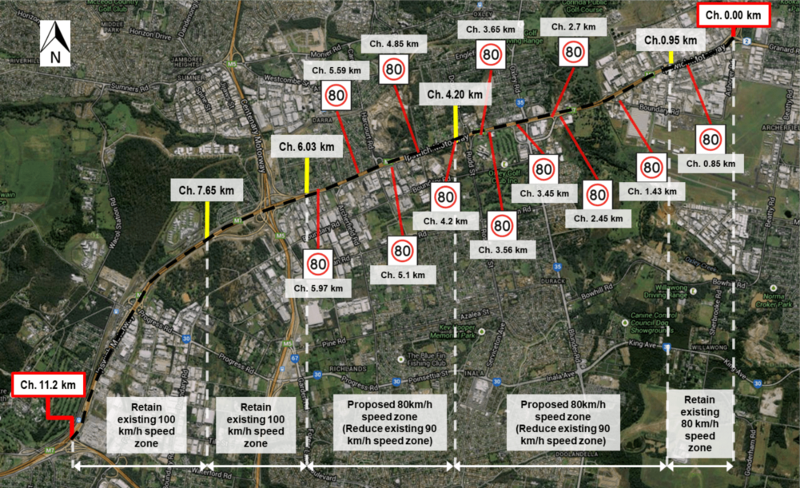 Bitzios Consulting was commissioned by the Department of Transport and Main Roads to undertake a detailed traffic safety review for the Ipswich Motorway. The 11.2 km section was reviewed in accordance with the Manual of Uniform Traffic Control Devices (MUTCD) and using first principles approach considering any safety implications for a modified speed zone. Variables considered while undertaking the review included roadside environment, pavement and shoulder widths, road alignment, frequency of intersections and access points, traffic volumes, activities, prevailing speeds and crash data. The review recommended speed reduction in two sections based on the speed environment, crash history, and to achieve consistency with the better performing adjacent speed zones.